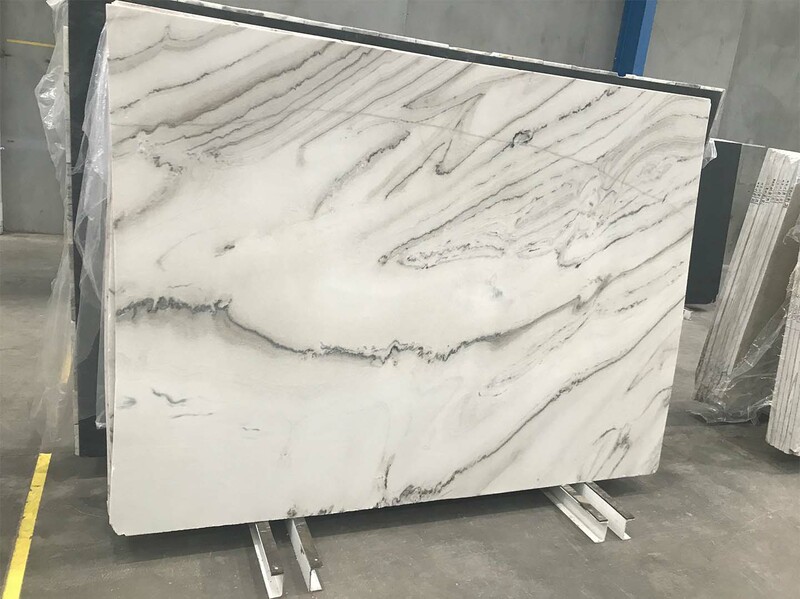 Eclair White is an exotic, creamy white marble. It’s bold veins shadow themselves, sweeping across the slab. 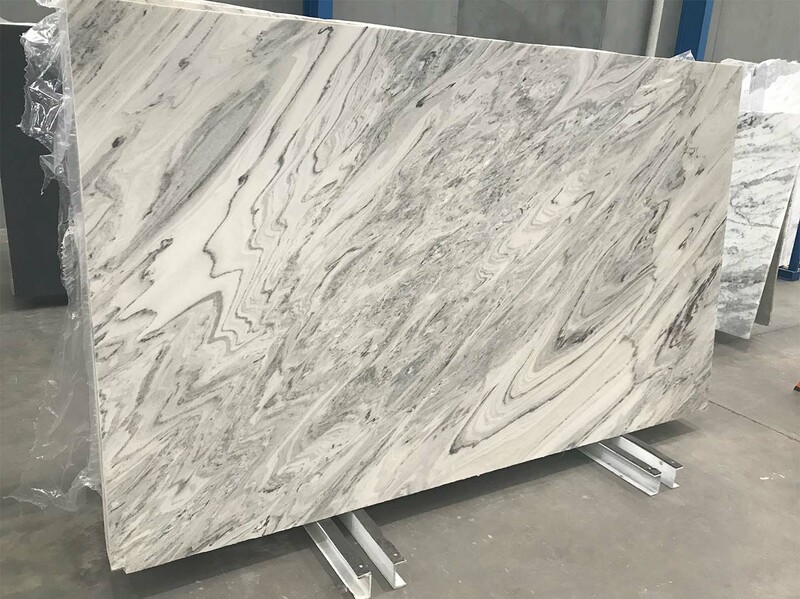 It is harder than a typical marble and is great for a kitchen benchtop or bathroom vanity.